R29 Book Club: Is It So Wrong To Dance? PHOTO: COURTESY OF RIVERHEAD HARDCOVER. 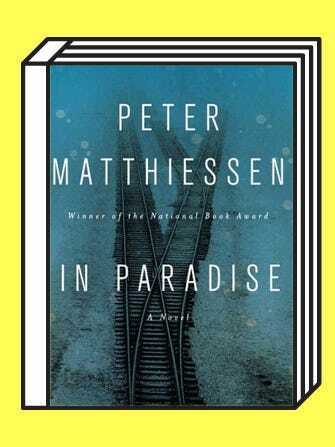 Now that you've finished reading Peter Matthiessen's In Paradise (the book we've been following this month on the R29 Book Club — see previous posts here), you know about The Dancing. That is to say, the moment when the entire story pivots, and, undoubtedly, the one that will spark the most controversy. Ostensibly, the reason so many characters — Rabbi Jim Glock and Anders Stern in particular — take issue with the spontaneous breakout of primal, joyful dancing during the retreat at Auschwitz is because it is indecent and disrespectful. In the same way that we bristle at teenage funeral selfies, there is a general understanding in society that expressing any kind of happiness in a sad or tragic setting is indicative of some deep moral ineptitude. And, I fully admit to being part of the bristling as the author of this article. But, as some commenters pointed out under that article, we can't expect to control or even understand the way others process grief. Last Thanksgiving, I attended the funeral of a friend's father, and I cried nonstop during the service. But, that sadness was, oddly, trimmed with almost giddy laughter and joyful moments. Some of those joyful moments came afterward, while sitting shivah at my friend's family home. It was, by all accounts, one of the more raucous parties I have attended outside of college. Everyone was not only remembering a wonderful life but also reveling in the togetherness of it all. On the train up to Westchester, though, my friends and I experienced a different kind of emotion. I wouldn't call it happiness or joy — more like coping. We were giddy in the way that you get crazy and silly after a really heavy cry. We were making jokes and laughing and screaming on the MetroNorth. Was that just as inappropriate as the dancing was in In Paradise? I think it might have been. At the time, I suspected as much. After reading that scene and its aftermath, I have a slightly different perspective on my experience and on grief in general. First of all, while funeral selfies still make me feel odd, I am definitely more acutely aware now of the strange forms sadness can take. I also believe there are two possible ways to interpret the almost celebratory dancing of Olin and friends at Auschwitz. One interpretation is that it is simply a celebration of humanity and our capability to enjoy life, things that are both validated and made that much more important in contrast to the dark, gory tragedy of abandoned baby shoes and scratches on the wall. It's not disrespectful; it's more like a reassurance of our greatest weapon against such horror, which is recognizing the humanity around us and expressing it outwardly. That's what I experienced at the shivah. The other, less rosy interpretation is that The Dancing was a method of pushing out an unbearable sadness. Is it understandable? Yes. But, the people in Auschwitz could not push that deep misery away, and I'm not sure I feel it's appropriate to take advantage of the ability to do so as a bystander, even if that is the reality of our lives now, looking back. I think that's why we joked and laughed on the train so much. And, while everyone does deal with these things in their own way, in retrospect, I almost wish I had stayed silent for those few hours. It seems appropriate now to force yourself to deal with the sadness that will stay with my friend's family forever, uncomfortable as that is. Thank you for following along with book club this month — I'd love to hear both your thoughts about the book and how, if at all, it changed your own perceptions of the cycle of grief.